If you’ve recently found out that you have to move home by a certain date and were immediately hit by a slight panic, then don’t be. You can have a house move which passes off without unexpected disruptions and have an all-round better moving day by hiring Moving Service. We are a removals firm in Crofton Park, SE4 with many years experience and this is the reason why we also have an expertise in carrying out all kinds of removals near and far. From moving across town to moving across country to moving abroad, we know what we're doing and, in turn, can deliver your relocation from your old to your new home. If you want a man and van service then you’ve also come to the right place. Our man with a van gives you both excellent transport in terms of a wonderful removal van and fantastic movers who are trained to handle all types of items with care. What makes us different from other removal companies is that we can give you so much more at such a better price. Our commitment to low prices means you can look forward to a removals day which is less stressful and less expensive. To find out just how less it costs to hire us, you can call our moving company now on 020 8746 4402. 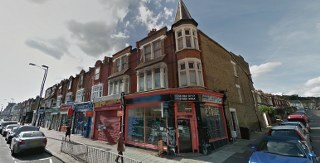 It is an area in South East London with surrounding areas including Ladywell Cemeteries, Honor Park, Brockley and Ladywell Fields. The area grew up around the railway station which was built in 1892 and given that name whereas before the area was known as the centre of Brockley. In the period before the First World War, the area expanded rapidly which included more shopping areas and recreation facilities being available for the population such as the local library. It was during this time that the area became the suburb we still see today. Green spaces within the area include Blythe Hill Fields which offers great views over other parts of London such as Canary Wharf. Notable buildings include the Rivoli Ballroom which was originally the Crofton Park Picture House. Built in 1913 this building was renamed the Rivoli in 1929 and is much used for a variety of activities today and much loved due to its 1950's beautifully conserved interior. Crofton Park Railway Station has direct services to Farrington, St Pancras and Blackfriars. The area has both the postcodes of SE4 and SE23 and is part of the London borough of Lewisham. When moving a home, it really is all about keeping calm and contacting Moving Service. House removals are something we know a lot about just as we help out many businesses and companies relocate because they come to our removals company that has the experience they need. We have experts who are trained to handle all types of items big and small, we have transport, removal vans and trucks which have many features such as GPS and lifts. Our customer service is dedicated to helping you from the moment you hire us to the moment you're settled into your new home. Our prices give you an overall great services which just can’t be beaten by any other removal firm. We also have additional services such as packing services in SE4 area and for a cheaper price we have all the packaging supplies you need in one place. It all adds up to our removal firm being the one you should hire for so many different reasons. Most of all, you can be sure we’ll give you an individual caring service that not only saves you money but makes sure that all-important move on your all-important moving day goes smoothly because you hired the right movers in Crofton Park. For your free quote call us now on 020 8746 4402. We needed to up and move our whole house rather suddenly when my husband got transferred, so we got on the phone with Moving Services in Crofton Park and they had us packed up in no time. Great moving service!